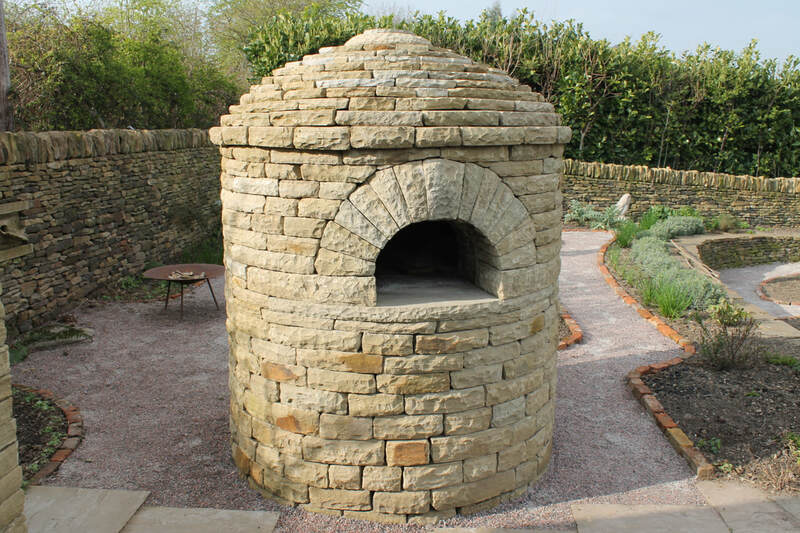 A circular stone wood fired pizza oven with an interior oven made of refectory bricks and specialised heat resistant mortar. 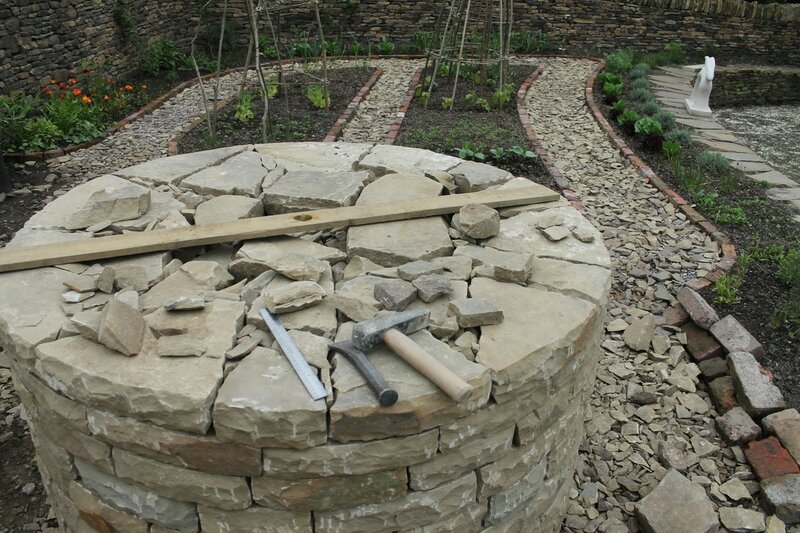 The exterior stone work is comprised of stones individually chiselled to the right curvature. 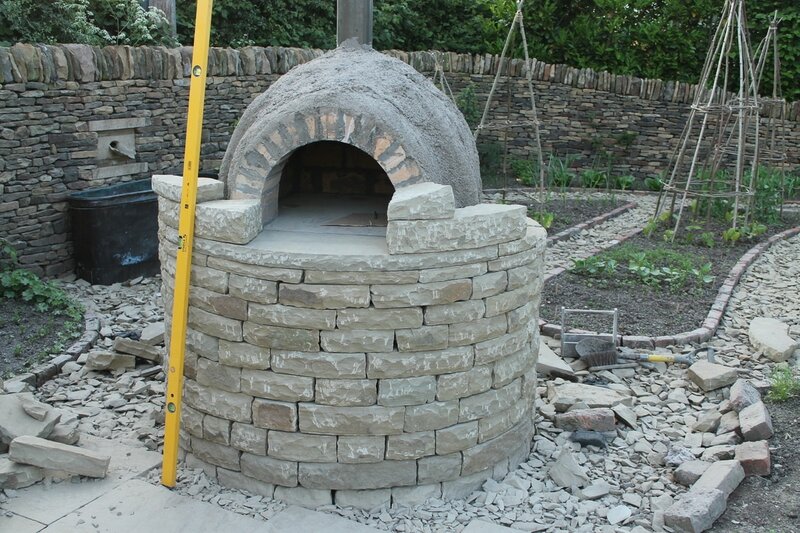 There are a few nice touches to the masonry work like the wide curving sill stone shaped for underneath the oven door and the curving arch around the door with matching large springer stones at the base of the arch. The oven has a corbelled roof with a band of eave stones which overhang to form a drip that helps to shed the rain. 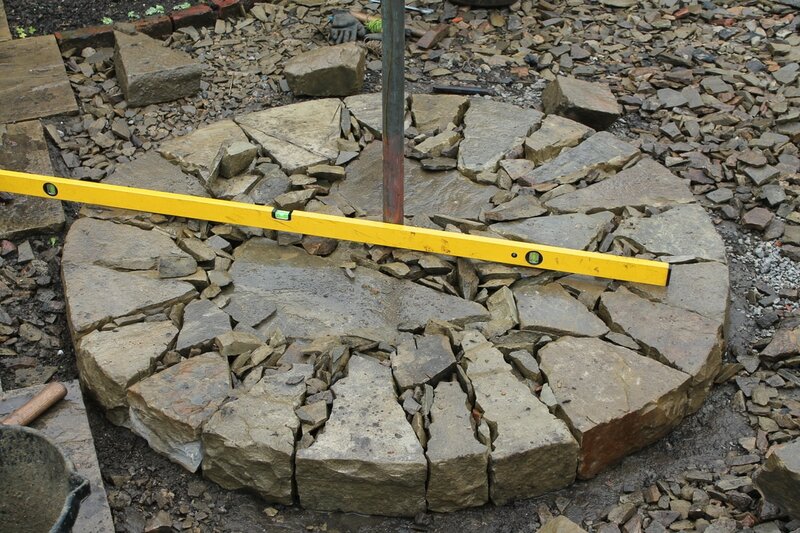 At the peak of the corbel, we chiselled a stone finial (a block in the form of a flattened cone) that fits around the chimney pipe and holds the last bands of stone in place. On top of the finial we also made a circular capping stone that sits on top when the oven isn't in use and stops rain water getting into the oven. The building process is highly skilled and it brings together the skills of dry stone wall and mason. 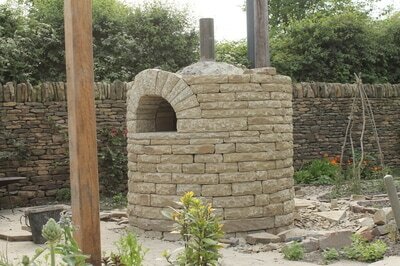 It is a permanent installation, below the mouth of the oven the base is solidly packed dry stone in a traditional style. This requires a considerable amount of stone so the oven is supported by a thick concrete pad due to its weight. 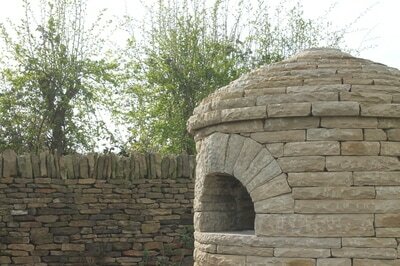 The sandstone blocks are all chiselled to form a tight curve on the outside. 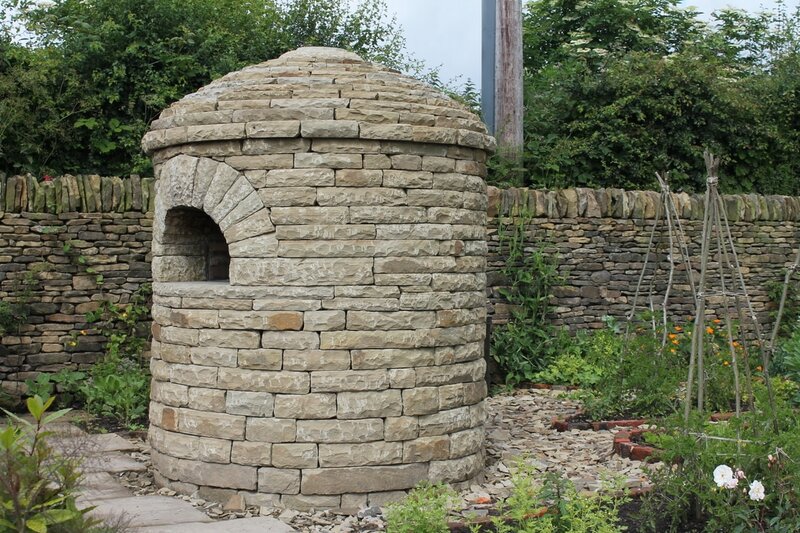 The curving arch around the oven mouth and the corbeled dome roof also take considerable masonry skill.